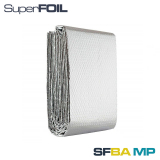 Insulation Superstore is proud to offer the very latest multifoil insulation products, created after numerous years of research, testing and product development from brands including Actis, SuperFOIL and YBS. 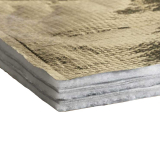 Multifoil insulation is one of the latest and most effective forms of insulation available, whether you’re insulating a new build, updating the insulation within an older property, or working on a renovation project.  If you have any questions or queries about multifoil insulation, or you’re looking for a specific product, don’t hesitate to call our team on 01752 692206, or use the live chat in the bottom right hand corner. Our team is on hand Monday to Friday from 8am to 5pm and has a wide range of knowledge about insulation products, where they are suitable to be used, and the benefits of using them, so feel free to get in touch. 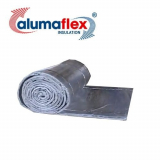 Multifoil insulation, also known as foil insulation, or thermal insulation foil roll, refers to insulation made up of many layers of sheets, foils and insulating materials. 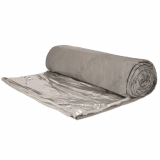 How does multifoil insulation work? 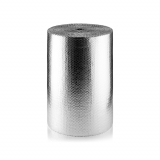 Multifoil insulation focuses on radiation, conduction and convection, three key mechanisms of heat transfer. 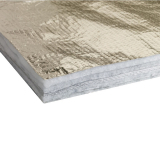 Multifoil insulation has low emissivity outer layers, which reflect infra-red radiation back into the room, preventing it from exiting the building. 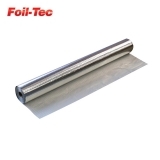 In some forms of multifoil insulation, between the foil layers there is a fibrous core, which helps to reduce heat loss that occurs through convection and conduction. 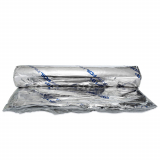 In other forms of multifoil insulation there is a layer of bubble like structure, known as low emissivity cavities, which help to maximise insulation by preventing heat transfer – heat transfer is greatly reduced through pockets of air. 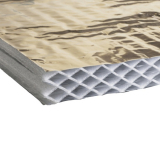 Additionally, multifoil insulation controls the movement of air and water vapour – multifoil insulation is most commonly installed across rafters or studs, so acts as a thermal break, reducing cold bridging and heat loss by preventing warm air from escaping, and stopping cold air from infiltrating into the roof space. 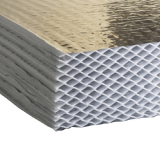 What are the benefits of multifoil insulation? 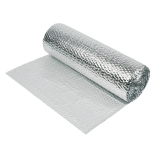 Firstly, multifoil insulation is one of the thinnest insulation products on the market. This brings a number of benefits, particularly that of space saving. 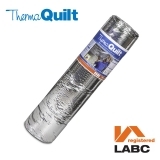 More traditional insulation such as loft roll can take up valuable space, especially in loft conversions, whereas multi foil insulation minimises the space taken up by insulation. 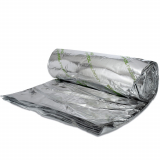 Multifoil insulation is incredibly easy to transport, handle and install. 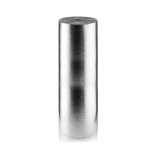 This is partly due to the thin characteristics of multi foil insulation – it isn’t bulky so can be easily moved, and is incredibly light. 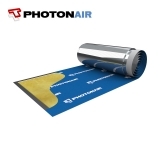 Additionally, no special protective equipment such as breathing apparatus is required, and unlike other insulation, there isn’t a lot of dust produced during installation. 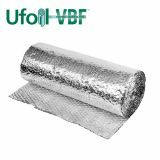 Multifoil insulation is typically considered much more effective than more traditional insulation, because it works to combat three forms of heat transfer, whereas loft rolls and insulation batts tend to just focus on conduction and convection. Additionally, multi foil insulation controls water vapour movement, unlike other forms of insulation, providing an extra method to prevent damp and condensation from occurring, which can affect the building as well as reducing the effectiveness of the insulation. 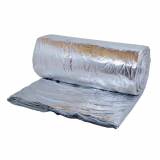 Multifoil insulation can be used as a top-up over existing insulation as well as on its own, helping to further decrease the amount of heat loss from the building – this is relatively quick and easy to do, meaning that the insulation does not need to be completely replaced, which can be expensive and time consuming. 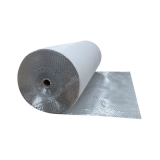 Additionally, some multifoil insulation products have been combined with other features, meaning that one product can be used for several functions. 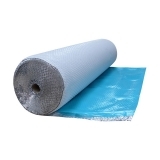 A number of multi foil insulation products now come with vapour control layers, whilst other multi foil insulation products can also act as a breather membrane, or vapour permeable insulation. 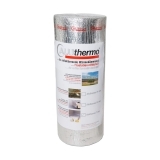 This reduces the need for other separate insulation products, saving time and money. 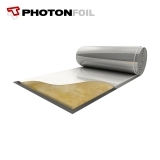 Because of the structure of multi foil insulation, it has a long lifespan, and does not experience a reduction in the effectiveness over time. 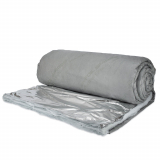 The foil outer layers prevent moisture from getting into the fibrous core, which can dramatically reduce the effectiveness of insulation, and multifoil insulation has a life span of over 50 years. 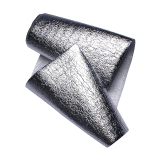 Multifoil insulation can be used in a wide range of applications. 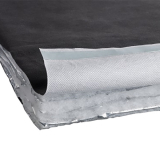 Although most commonly used in roof spaces, and particularly between rafters and timber studs, some multi foil insulation products can also be used effectively in floors, walls and cellars. 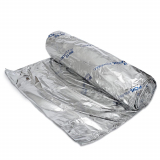 What are the different types of multifoil insulation? There are a number of different types of multi foil insulation available from a range of different manufacturer, each providing their own advantages. 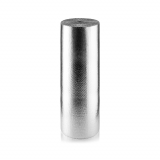 Each building needs careful consideration for the build-up of insulation required, and foil insulation comes with a variety of different features to ensure that it is effective, not only regarding to insulation but also to any other characteristics if relevant, such as vapour control. 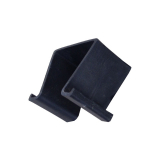 TLX multifoils are known for their reliability and insulating properties. 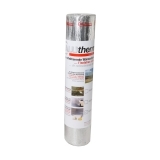 Holding BBA (British Board of Agrement) and ETA (European Technical Assessment) certificates, TLX Gold and TLX Silver are firm favourites, both amongst contractors and small scale insulation installers. 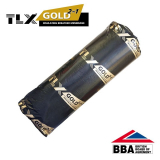 TLX Gold is a 2 in 1 breather membrane, which provides ventilation as a breather membrane does, whilst also providing high level insulation with characteristics similar to a PIR board, whilst only being 33mm thick. TLX gold has been used in a wide variety of applications, including refitting within historic and period properties to waterproof the roof, installation within social and private housing to improve U values quickly and easily, and in barn conversions, where ceilings are vaulted, or there are exposed rafters. 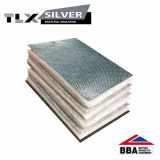 TLX Silver is a thin and flexible multipurpose insulation product that stops air leakage by acting as an air-tight vapour barrier, whilst also restricting air movement between the layers of multifoil, retaining heat and preventing heat loss. TLX Silver is incredibly easy to install, and has been used in walls, new build roofs, refurbishment projects and more. Actis is one of the most trusted brands within the insulation market, and supplies a number of high performance foil insulation products. 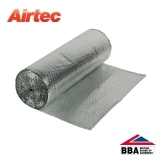 This includes the Actis Boost R Hybrid, which is installed on the cold side of the roof, and is just 35mm thick, acting as a breathable membrane but with reflective foil to improve the insulating properties. 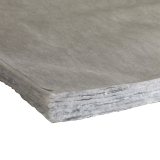 Alternatively, opt for the H Control Actis insulation, which combines thermal insulation with a vapour control layer to minimise moisture build up whilst insulating the building effectively. 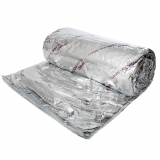 YBS have been manufacturing innovative insulation products for over 60 years. 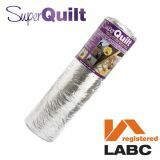 Their multi foil insulation products vary, from Superquilt, which has been designed to specifically combat cold bridging, Thermaquilt, which has been designed as a budget friendly yet effective insulating alternative to other multi foil products, Airtec, which has an aluminium bubble membrane to reduce thermal movement, and Foiltec, which has been coated with nitrocellulose to result in a highly robust and corrosion resistant multi foil insulation that also acts as a vapour control layer. 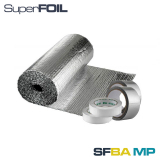 One of the most popular names in the multifoil industry, SuperFOIL is often considered the market leader, producing high performing and highly effective multi foil insulation products. 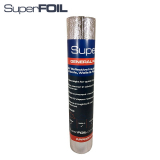 From air bubble structured insulation, to breathable thermal insulation, and even products designed specifically to be used in conservatories, there are a number of different SuperFOIL products to choose from.